The 3 time Polish Junior Champion, Kamil Miton, has a great many titles to his name for such a young age. He won the Under 12 World Championships in 1996 , 2nd in the World Under 14 Championships in 1997 and 2nd in the World Under 20 Championships in 2000. He is coming off a great World Open where he tied for first and then went on to win the tiebreak playoff, making him the 2002 World Open Champion. 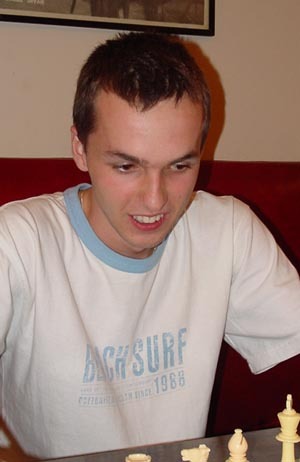 Kamil received his GM title at the FIDE Congress in Bled, Slovenia in 2002.